Why ARE the Horde & Alliance Fighting After Teaming Up to Fight the Legion? Note: This post was originally made on my Tumblr, but I figured I’d share it here as well. I’ve seen this question bounce around a few times since the announcement of Battle For Azeroth. So I figured I’d do my share of clearing up a misconception. The Horde and Alliance didn’t team up to fight the Burning Legion. They tried. Namely the Assault on the Broken Shore. It ended with the Horde retreating after their Warchief was fatally injured and the Alliance losing another King of Stormwind. After that, the joint efforts collapsed since the Alliance blamed the Horde for the death of Varian, and the Horde has pretty much run out of fucks to give about reaching out to an Alliance that constantly blames them for crap going wrong. Without the Horde and Alliance willing to work together to fight the Burning Legion, the duty fell instead to the Class Orders to rally their ranks and push back the Legion. Hence why the Armies of Legionfall banner has the symbols of each of the class orders represented on it. In short, the Alliance and Horde failed at teaming up and fell into their old hatreds while the Class Orders stepped up and joined forces under Khadgar and Illidan to stop the Legion’s invasion and ultimately assault Argus. Hence why the only faction leader present on Argus is Velen – who has a vested non-political interest in reclaiming his homeworld. I might be wrong in this, but while the heroes of Azeroth who are aligned with the Horde or Alliance have often worked side by side I don’t think there are many times that the Alliance and Horde as factions have been politically united on something. In the Burning Cruside, it was much more of an effort driven by the Scryers and Aldor united as the Shattered Sun Offensive. In Wrath of the Lich King, the Horde and Alliance were still duking it out over Icecrown while the Ebon Blade and the Argent Crusade made headway into infiltrating the Citadel. In Catalcysm, Faction animosity actually grew in the wake of the struggle for resources after the near apocalypse which ultimately came to a head in the Mists of Pandaria. In Warlords of Draenor, the conflict and alliances between groups was much more centered on the native factions of Alternate Draenor with the Horde and Alliance not openly in conflict but just kind of helping things along for the locals, which gave way to the potential team up at the Broken Shore – where it hit the fan and set the stage for the faction war coming in Battle for Azeroth. Update: Since originally posting this on Tumblr, I was able to think of a few occasions that the Horde and Alliance worked together for one reason or another. The first is the Battle of the Wrathgate where both the Alliance and the Horde fought against the Scourge as an attack on the Lich King’s back door. 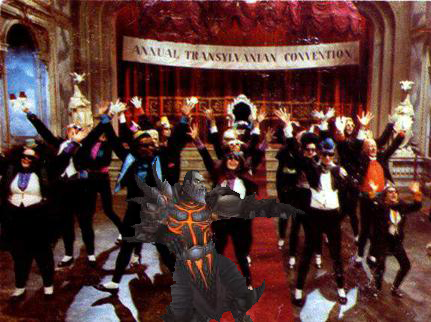 However, it’s debatable whether this constituted a formal action by the Horde since it was really only Saurfang the Younger’s forces that joined the assault and that the forces of Overlord Agmar where more aligned with the radical tactics of Garrosh Hellscream and likely would have no desire to join an Alliance assault, and the Forsaken of Venomspite… well… they had OTHER plans. The one event I could think of that was a 100% combined Horde-Alliance effort was the Might of Kalimdor, a unified army made up of the Alliance’s legendary 7th Legion and the Horde’s mighty Kor’kron Guard that fought during the ten-hour Ahn’Qiraj War after the Scarab Wall was opened. This along with the War Effort that bolstered the Might of Kalimdor is probably the most clear cut example of the Horde and Alliance joining forces to confront a potentially world-ending threat (The return of the Qiraji after the War of the Shifting Sands nearly 1000 years before the first arrival of the Orcs). Considering both times were led by a member of the Saurfang family, and even Varian was able to put his old grudges aside to let the elder Saurfang mourn the loss of his son at Icecrown Citadel, the High Overlord might be a good choice for an ambassadorship. Illidan “The Betrayer” Stormrage. Imprisoned for 10,000 years for creating a second Well of Eternity at Mount Hyjal in an attempt to preserve the Night Elves’ magic and immortality after the War of the Ancients. Consumed the Skull of Gul’dan to empower himself into a half demon monstrosity so he would have the strength to take on the Burning Legion’s second invasion. Forged an army of Demon Hunters and enslaved Demons to prepare for a third conflict with the Legion. Used the Sargerite Keystone to open a gateway between Azeroth and Argus to force the champions of the world to deal with the demon threat once and for all. Illidan is a character for whom the ends have always justified the means. Even his own life has been regarded as but a tool to achieve his ultimate goal of eradicating the Burning Legion. For some, this can be a noble endeavor that one should risk it all to stop a unending evil in the universe. However, this same traits can be that of a monster that destroys everything in his path to achieve that end. It’s probably one of the best recipes possible for a divisive character that people will either love or hate. Not stopping the Eredar from dealing with Sargeras? Gotta trust in that Light. Lead the Burning Legion in a chase across the Great Dark causing the eradication of world after world? Gotta trust that Light. That’s the thing about Illidan that makes him such a complex character. Not that his motivations or personality are very diverse or even terribly interesting but that despite the horrible methodology that harms countless numbers of people for the greater good – he’s usually right. Without Mount Hyjal, Elven society would have likely fell apart. The Legion would continue to come to Azeroth until its world-soul was dead or corrupted. The Naaru are not the benevolent creatures people treat them as. Some people have noted that there’s a quick mention that Xe’ra sealed Alleria Windrunner in a void pit for 60 some odd years for disobeying her. Which is weird considering how kindly and nice the Naaru are, right? Except we’ve known the Naaru weren’t to be trusted since the Burning Crusade. Kirrik the Awakened, an Arrakoa who converted to Light worship under the Naaru A’dal from traditional Terokk/Shadow worship, says: “Those who have not given themselves over to the Light are mere servants of evil. They must be destroyed.” These are the teachings of the Naaru. Join us or die. So was Illidan right to destroy Xe’ra? There’s definitely a worthwhile debate to be had there. Was Xe’ra wrong to try and perform a forced purification on Illidan? Oh yea. Of course, that would have been where the Naaru would draw the line as well I expect. Based on what Kirrik the Awakened says, and the fact that he tasks you with such things as destroying Arrakoa eggs so they would not be born of Terokk instead of the Light, I would say that if Illidan resisted that Xe’ra would have simply destroyed him. Stuff like this is why I never could get on board with the I-Hate-Illidan train or the Notice-Me-Illibeans-Senpai bandwagon. He’s in neither camp. Heck, I’d struggle to call him a Hero or even an Anti-Hero. He acts more like a force of nature than anything. He just acts in a purely utilitarian manner without worry about the consequences because the potential good outweighs any cost. It’s like saying Voting is a hero or an anti-hero. No, it’s just a thing we do as a society to improve things and it’s not perfect but damn it’s better than being gnawed on by a literal infinite number of demons. I may have mixed up a few wires in that last sentence. In another side note, the thought occurs to me that I have no idea why the Naaru are against the Legion. The cosmology that Blizzard has set forth thus far is that the opposing element to Fel is actually Arcane, with them representing the spheres of Chaos and Order respectively. The Naaru are born from the Light whose opposite is the Void with the Void Lords and Old Gods being the opposite of the Naaru. But the Burning Legion – in its original incarnation – was started because Sargeras decided it was a safer bet to destroy worlds infested with the Void than chance them infecting a world-soul and creating a Void Titan. So if the Burning Legion hates the Void, and the Naaru hate the Void… Why do the Naaru hate the Burning Legion? Other than apparently the Light is the natural enemy of all ‘negative’ elements since it also apparently can one-shot creatures of the Death domain when its opposite is Life (overseen by the Wild Gods like the Ancients or Loa.) The Light is overpowered. No wonder they nerfed paladins to the ground, baby. So what do you all think about Illidan’s recent developments? Good? Bad? ‘I Hate Blizzard and Deliberately Seek Out Posts About Them on the Interweb to Voice My Displeasure’? If there was anything that I could honestly say that Cataclysm did that I loved, it was advance the storyline for the entire world. Well, the old world at least. There’s still some timey wimey whatever stuff going on in Outland and Northrend – but this isn’t about that. No, this post is about the blood elves. More importantly the complete and utter lack of story involving them in Cataclysm. The same could be said for the draenei, but I don’t know nearly enough about them. So I’ll leave that to other bloggers. But there was a huge missed opportunity for the sin’dorei in my eyes. They could have become a major player in the new Horde. Especially with the Forsaken now dead set on conquest of the Eastern Kingdoms, it will only be a matter of time before they have to cross blades with the Argent Crusade who have firmly rooted themselves in the Plaguelands, and with an army backed by a new font of holy power lying just to the north, one has to wonder if Lady Sylvanas would reach out to old friends in order to complete her mission to claim all of Lordaeron for the Forsaken. But that didn’t happen. In fact, despite the successful reclamation of the Ghostlands by a unified force of Forsaken and Blood Elves, there is little to no mention of their ‘friends to the north’. Perhaps they fear the Sunwell’s possible effects on the undead? Or maybe there is underlying mistrust after the betrayal of Prince Kael’thas? Who knows. The real question for me is more so, if the timeline for WoW has indeed move forward… what exactly is going on beyond the forests of Quel’thalas? The question is really based on a small insignificant piece of dialogue from Wrath of the Lich King, where there were hints of a frustration in the ranks of Blood Elf society. Despite Regent Lord Lor’themar’s decision to stand with their new found allies in the Horde then with the corrupted Kael’thas and his fel-tainted elves during the battle for the Sunwell, Ranger General Halduron Brightwing urges Horde players to not get involved with Lor’themar’s political scheming with the Grand Magister Rommath during the quest to reforge the ancient blade Quel’delar. Political scheming? What’s this? Is there something going on here? Not entirely surprising since much of blood elven culture has been one of duality. There is the seen – a simple tailoring shop – and the unseen – that uses demons and slave labor. Even the guards seem to be on duty to prevent anyone from seeing the tears in the seems of the blood elf society. The protesters in the Bazaar are quickly silenced and brain washed into behaving, the constructs patrolling the city shout off things like “happiness is mandatory”, and I will remind you that these were all occurred after Lor’themar assumed the role of leader. Could it be possible that the blood elves are trying to reclaim their former glory through dystopia? Praise the glory of the sin’dorei or be silenced forever? It would go a long way to explain why Halduron would go the distance to make contact with the high elves during the crisis in Zul’Aman (much to Lor’themar’s dissaproval) instead of seeking reinforcements from Silvermoon. If the man in charge of Quel’thalas’ defense is becoming distrustful of Silvermoon’s leadership, then I think we may all have cause for worry. And there in lies a great opportunity to advance the story of the sin’dorei! The fact that the leadership is scheming, inept, and resort to such drastic measures as brainwashing problematic citizens could indeed be reason enough for a revolution in the ranks. But who would rise up against Lor’themar? The Farstriders? They are now too few, and stretched too thin to be of any use. It would take a powerful force to rise up and seize the reins of Silvermoon. Someone who commands loyalty from their soldiers, is respected amongst a number of species, who has battled their demons and come out with a new found respect for the Light and what it means to uphold its ways. Oh for Brann’s sake, I’m talking about Lady Liadrin! Being the leader of the Blood Knights, she commands a large and powerful force that is now rekindled by the rebirth of the Sunwell. She is on a mission to the see the blood elves returned to their former glory, and she is a reformed follower of the Holy Light. I could easily see her leading her paladins to usurp the Regent-Lord and uniting the blood elves under her. After all, if the blood elves quench their thirst now through the holy energies of the Sunwell, a Light-centric society would make sense. It would also introduce an interesting concept of a theocratic government, which really hasn’t been touched on before in Warcraft. The only possible exception being possibly the draenei since their spiritual leader is also their faction leader and their society has a strong affinity for the Light, but can you really say the draenei have a form of government? I always say them as refuges, not an entire civilization. Either way, a Light based theocratic blood elf government would be a fascinating angle to explore. It would also bolster the story of the Reliquary who are searching for ancient arcane artifacts for more power. Why are the Reliquary bothering with this if the Sunwell now provides what they’ve needed since the Burning Crusade? If they had rejected the Holy Light and decided to seek out purely arcane means to cure their cravings and redeem their society, well that’s suddenly a much more interesting reason. It would also go a long way to explaining why the Forsaken would not want to get involved with the blood elves. After all, the energies of the Holy Light are fairly painful to the undead, and their reverence for the Forgotten Shadow would put them at odds with their former allies, and would further drive the Forsaken into more isolationist tendencies of wanting to rely on their own instead of the orcs, blood elves or even the Horde in general. I really think it would be an engaging and fascinating change up for the blood elves in Cataclysm. Instead we got warrior trainers and Lor’themar got a few new lines. Wonderful. Fabulous. Great. What wasted potential. Well, maybe the next expansion will do SOMETHING with them? When I think of a hero, I think of Tirion Fordring. Really, that’s all I have to say. Because in the end, that is what sets him apart from every other element in the World of Warcraft. Warcraft has always been epitomized to me as an exploration in the idea that there is no true good, and no true evil. A fallen good guy becomes a bad guy, a redeemed bad guy becomes a good guy, and orcs are not the monsters they appear to be and humans can be more monstrous than you would think. It has always felt to me that the World of Warcraft existed in an honest view that there was no black and white in the world. Tirion Fordring is one of the exceptions to that. Tirion always put his values before his life, his family and anything else. He believed that honor and justice were more important than power and wealth. He sacrificed everything he had to preserve his honor and save the life of an orc that any other would see put to death before hearing a word it had to say. In a world of grays, Tirion Fordring is the white. I struggled to write this post for ages. Not because I didn’t want to do it, but because I wanted to do it right. I wanted to do my best to show the world why I think Tirion Fordring is one of the greatest characters in Warcraft. I had originally contemplated writing it like I did part 1, a long and winding narrative that exemplified what was best in the story of Fordring, and showed him for the true hero I feel he is. Then I remembered that wasn’t what I set out to do months ago when I first decided to write this. I didn’t want to tell the tale of Tirion, I wanted to defend him. There have many questions raised about this character, one’s that I think have been a great injustice to what my views were. So I wanted to stand up and address all this. Granted, it hardly seems relevant an entire expansion later. Tirion rests quietly in his home in Hearthglen now, as his Crusade seeks to purify and redeem the fallen lands of Lordaeron from the destruction wrought by the now beaten scourge. I still want to write this. I still want people to read it. So I have settled on finding the biggest arguments I could think of against Tirion, and write my counter argument in favor of the Ashbringer. I would suggest refreshing yourself on part one, as I will be referring to the events discussed in it. How did Tirion purify the Ashbringer? Chronologically, this is the first time we get to see Tirion Fordring following the death of his son, Taelan, and swearing his oath over his child’s lifeless body. So it seems right to start with this point. During the Battle of Light’s Hope, Tirion Fordring commits his first act of outrage to the players by purifying the Ashbringer and driving back the Lich King with it. Why was this an outrage? Well, that has a lot to do with the history of the Ashbringer. For the longest time, the Ashbringer was essentially one of WoW’s own urban legends. There were hints of its existence – it was data mined, the Shendralar seemed to know of its existence as well as the ever unlikely Nat Pagle, developers hinted at it, and with the introduction of Naxxramas the world finally learned what happened to the blade through a strange scene that played out when a player that had pried to blade from Highlord Mograine’s hands and took it to the Scarlet Monastary. It was there it was hinted that the Highlord had another son, hidden away in Outland, that would be able to forge a new Ashbringer. The idea was always that the players themselves would be able to purify the blade and wield it. You would find the lost son of Mograine and build the Ashbringer anew. But there was no lost son in Outland, despite the multitude of theories about which random NPCs that could be the one to help rebuild this ancient and powerful weapon. Then, after all that, it gets purified by Tirion Fordring. A character that a good chunk of people either didn’t remember or never got to meet in the Plaguelands. It was – to quote the forums – a slap in the face. However, narratively it worked. Tirion was a man that had a connection to the Holy Light powerful enough to survive excommunication, he was a founding member of the Order of the Silver Hand and one of the first paladins. To say he was powerful in the ways of the Light would be putting it lightly. The lost son of Mograine turned out to be Darion, who fulfilled his destiny by breaking away from the Lich King’s chains and threw the cursed blade to Tirion. So why didn’t the players get to do this? Perhaps it was for the purpose of story. A powerful paladin to purify and wield a legendary blade of good, to lead the war against the powerful fallen paladin who wielded a legendary blade of evil. However it was no ‘out of the blue’ moment. Tirion’s astonishing connection to the Light was established as early as 2001 with the book ‘Of Blood and Honor’. In many ways, this was the catalyst for the entirety of the expansion, because without Tirion’s Argent Crusade, it is debatable if the assault on the Northrend would have ended in success at all. What was the point of the Argent Tournament? Ah yes, the Tournament. That point during Wrath of the Lich King when players who weren’t already angry at Tirion for stealing ‘their’ Ashbringer began to despise the man. After all, what could be dumber than establishing a big fancy jousting tournament in the middle of a war? It was sheer stupidity! Wasn’t it? I’d be lying if the introduction of the Tournament didn’t have me scratching my head for a moment. It seemed like a weird choice, but as I continue to play through it and listen to the NPCs that wandered the tournament grounds, it began to make sense to me. There were many reasons for the tournament. The tournament was designed to draw in fighters from every walk of life as well. Those who wanted to defeat the opposite faction, those who wanted glory, and those who were just trying to fill out their wallets. No matter what, each person who fought through the tournament were recruited to the cause in some fashion. Those who wished to prove their worth to join the assault on Icecrown were invited to take the Trial of the Crusader, were you would face the most powerful and dangerous enemies that the Crusade could find. This is where there are a number of complaints. People have often asked me if the point was to make sure that no life was wasted and turned to the Scourge, then why have a giant tournament where people get killed constantly in massive raid fights? This is a distinct division of gameplay and story. For the sake of engaging gameplay, one must risk death. You can wipe, you can die, and you can just run back in and try again. However, in story that doesn’t happen. It’s assumed for the sake of plot, that you essentially “one shot” the entire raid. Those who aren’t up to par and drug off the arena floor and healed up by the Crusade’s healers. However, you might be thinking that using a lavish tournament to try to overcome the bitter rivalry of the factions is a bit naive. I think Darion Mograine would agree with you. Tirion is an archetypal paladin through and through, he believes in second chances, that good will prevail over evil, lawful good alignment – all that jazz. It’s something Darion had been annoyed with since arriving in Icecrown (which may be the reason that while the Ebon Blade is represented at the tournament, Darion himself never shows up.) Tirion’s devotion to doing things the “right way” and not following Darion’s suggestions to sink to the Lich King’s level and play dirty is a good hint towards the mentality behind the tournament. It’s part of Tirion’s “right way.” The forces of Azeroth will unite together and tear down the walls of Icecrown, and good defeat evil. Naive, no? Damn inspiring too, if you ask me. Why build a Tournament at the Lich King’s doorstep in Icecrown? While outside of the narrative, we know that the Argent Tournament was originally meant to be held in the Crystalsong Forest but due to the immense lag in the area from Dalaran it was moved to Icecrown. That doesn’t mean there isn’t a perfectly good reason for it to be held there. The most important of which would have to be that the Tournament is a powerful symbol to those who come that the Lich King is not all powerful. You see, the reason the Horde and the Alliance have been sitting in airships the entire time is not because they like the view. Neither faction has been able to make a lasting dent in the Lich King’s forces to establish a permanent base in Icecrown. In fact, only two groups can claim to have made such an accomplishment: The Ebon Blade – who know how to exploit Icecrown’s weaknesses – and the Argent Crusade. In fact, the Crusade has established two bases on the glacier. So the fact that the Tournament stands on that unholy ground shows to members of any faction that arrives that, Yes, the Lich King’s power is not absolute. And despite the attempts by the Cult of the Damned to interfere and sabotage the Tournament, through the unity of those it has drawn in it continued to stand. Tirion’s “right way” is working. Why didn’t Tirion interfere when the Lich King crashed the Tournament? So the Tournament was working, people were coming around the Tirion’s side, and then at the end of it all, the Lich King shows his face. And what does Tirion do? He offers him a chance to give up. Then the Lich King plunges Fordring’s newfound champions into the depths of Azjol-Nerub to face Arthas’ own champion – Anub’Arak. Why the heck did Tirion not just jump down and kill Arthas? Why did he offer him a chance to surrender? How the heck could Vry admire such a moron of a human being?! Well, I’ll tell you. The most important thing to remember is that Tirion cannot defeat the Lick King. Not in Icecrown. Not alone. His victory at Light’s Hope was only possible due to the fact that they battled on holy ground. Icecrown is the opposite – unholy ground. Tirion knew this when he decided to build the Tournament in Icecrown, and it’s the reason he won’t engage Arthas in combat like this. The Lich King has the upper hand due to terrain, power and the element of surprise. It would be downright foolish to try to engage him. As for the offer to surrender? Well, I did say he was an archetypal paladin. I can’t fault him for that. But why did he build the Tournament over Azjol-Nerub? How stupid was that? Not very. Azjol-Nerub runs under a good chunk of Northrend, mostly where you can find a good amount of scourge activity. I’d wager to say it runs underneath through most of the central part of the continent: the Dragonblight, Crystalsong Forest, and Icecrown. So unless you had somehow mapped out the entire expanse of both the upper and lower kingdom, I’d think the odds of building over it are pretty good. How come Tirion gets all the credit? I killed the Lich King, and yet Tirion gets a statue? What the heck is up with that? Well, I always likened it to a famous general. You always remember the general for what they accomplished, but you don’t remember each and every troop that served under them. Oh, sure. If you were one of those troops you remember the others like they were your brothers and sisters. You fought and shed blood together on the battlefield, but in the grand scheme of history? Well, Washington has a monument, but not his troops. Tirion Fordring, the last living founding member of the Silver Hand, the Ashbringer, and the leader of the Argent Crusade. Commander of the forces that united together paladins, death knights, Horde and Alliance to defeat the Lich King, enemy of all of Azeroth. Tirion, who upon losing everything, devoted his existence to the destruction of evil on the face of Azeroth, purified the Ashbringer and used it to shatter the cursed blade Frostmourne. He didn’t deserve a statue? A statue surrounded by statues of orcs and humans – the ‘iconic’ races of both the Horde and Alliance that united under his banner. I think that after all of the things I’ve written about here, I would hope that some would see some merit in why Tirion was instrumental in the defeat of the Lich King. This wasn’t something that the Horde would have accomplished, or the Alliance. They couldn’t even get a base set up in Icecrown, and they spent more time fighting each other than enemy. Without Tirion’s Argent Crusade, there would have been no victory to be found in the cold recesses of Northrend, only death. That is why Tirion is at the center of the statue. Because he was at the center of this victory. He is surrounded by statues of the Horde and Alliance because through them, victory was won. Tirion isn’t a glory whore. He’s a man that devoted his life to seeing Arthas brought to justice. He rallied people to his cause. He led them to victory. And in the end, he had no second thoughts that it would be his fate to take Arthas’ place on the Frozen Throne and become the Jailer of the Damned. It was only though his old friend Bolvar, that his fate was spared. Tirion Fordring is Wrath of the Lich King’s Aragorn. He’s the reason I rolled a paladin. He is a good man, and someone that brings out the good in all of us. That is why I will defend Tirion Fordring. 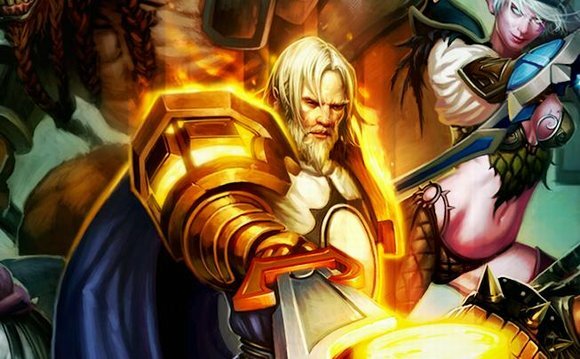 There are some figures in the World of Warcraft people love to hate. Garrosh Hellscream, Varian Wrynn, and Rhonin Redhair are the just some of them, and for the most part it is fairly easy to see the aspects of these characters people don’t like. There must be some people out there who like them though. At least one or two. They are probably reading all the rants and jokes about these characters and wondering exactly why people don’t like them. Why don’t they see them the same way you do? That’s the way I always feel about Tirion Fordring. Tirion is a character I have long admired and I was ecstatic when he was included as a central figure in Wrath of the Lich King. Yet people found him arrogant, stupid, and pointless. They asked why he got to have the Ashbringer, why he gets statues of him everywhere, and why in the world would he be stupid enough to set up a tournament at the glacial edge of Icecrown? Well, as is my role in finding ways to explain things that are otherwise unexplainable, I will try to answer these questions and more before we are though. However, opinions are a hard thing to change. People stand by them rigidly and then get offended if you try to change their mind. They shout “You should respect my opinion!” and then throw things at me. It’s happened more often than I can recall (on account of all the concussions I get from having things thrown at me.) For that reason, I’m assuming that I won’t be changing any opinions. I’m not even going to go into any elaborate arguments. I’m going to tell you about Tirion, why I respect him, and my own views on why things happened the way they did. If you agree with me, that’s wonderful. If you don’t, what can you do. Maybe you’ll find something interesting along the way and see things a bit differently and still not come to the same conclusion as me. I have no idea, and I make no promises. Originally, this was going to be one very large post. However, I decided to split it up. Part one will mostly be dealing with the back story for Tirion Fordring. What he has accomplished and how he became the man he is. The ideas presented in this part one, and my views of this man, will form the basis of part two, in which I explain my views on the events of Wrath of the Lich King and Cataclysm. If we are to speak of Tirion Fordring, than we should start at the beginning, or at least the earliest records we can find. I have heard people often wonder exactly what about Tirion could command such respect from organizations like the Argent Dawn, the Kirin Tor, or even the Knights of the Ebon Blade. That Tirion hasn’t done anything to command this respect from people. Yet, without hesitation, people will stand up and defend the name of Uther the Lightbringer. Even sworn, die-hard members of the Horde will honor the name the Lightbringer (Okay, not so much the Forsaken. They are actually more so fond of desecrating the memory of Uther.) One of the reasons that Uther was such a prominent and well-respected figure was that he was one of the first paladins in the Knights of the Silver Hand, trained by Archbishop Alonsus Faol along the other original members of the order like Saidan Dathrohan (Dead), Gavinrad the Dire (Dead), Turalyon (No one has a clue where he is) and Tirion Fordring. Yes, you read that right, Tirion Fordring was one of the original founding members of the Knights of the Silver Hand, and the only one alive and present. Which is probably why he garners as much respect as he does from the NPCs. He is a legend, like Uther, only not dead. So, like a living legend. Of course, Tirion wasn’t part of the defense of Lordaeron during the Third War with Uther, Saidan, and Gavinrad. There were complications in that matter due to a small incident that happened a few years before the Cult of the Damned began sinking their talons into the Eastern Kingdoms. The Knights of the Silver Hand were founded after the First War, and by the end of the Second War they were renown across Lordaeron. Tirion Fordring became a lord of the lands of Hearthglen, and was much-loved by the residents there. However, upon an unfortunate happening, he stumbled across a lone elderly orc named Eitrigg that lived in an abandoned tower. As a paladin, he naturally engaged the orc in combat until a chunk of the tower collapsed on him. Tirion awoke later back at home and safe. The monstrous orc, a soul-less devil of a creature from another world, had saved his life. Realizing this he sought out Eitrigg again and confronted him. Eitrigg explained that he was not part of the Horde. He abandoned it after he became disillusioned by how obsessed they had become with dark magics and demons. Eitrigg explained that the Horde used to have a rich heritage steeped in shamanism and honor. Tirion could see that the old orc was honest and had no hostile intent. Eitrigg simply wanted to live out his remaining years in quiet isolation. Tirion swore on his honor that in exchange for saving his life, he would help to save Eitrigg’s, and would keep his secret safe. Of course, honor has no place in politics. Tirion’s second, an ambitious and sordid paladin named Barthilas (Yes, THAT Barthilas) wasn’t convinced by Tirion’s story that the orc had been dealt with. Barthilas hated orcs, and much like the larger portion of the human population after two whole wars, saw them as brutish bloodthirsty beasts and nothing else. His opinion was fueled by his own personal tragedy. He had lost both parents to an orc attack during the Second War. However, Barthilas was only ordained as a paladin at the very end of that war and never actually saw battle. You could say the whole situation left him angry, prideful, and with a slightly skewed view on the entire situation. Barthilas called in Saidan Dathrohan to investigate the whole situation. As another one of the founding members of the Silver Hand, he was straight with Tirion and told him that he trusted him. They were friends after all. However, rumors of a new Horde stirring in the south (led by some escaped orc slave) had forced his hand, and he couldn’t overlook such a potential threat. Dathrohan and his men went out into the woods to investigate along with Barthilas, and naturally found Eitrigg alive and well. They attempted to detain him, when Tirion intervened. Tirion, who swore to protect Eitrigg on his honor, did the unthinkable and attacked Dathrohan and his men, committing treason to save the life of an orc. Tirion was to put on trial, presided over by some of the most powerful figures in the Alliance: Admiral Daelin Proudmoore, Arch-Mage Antonidas, Archbishop Alonsus Faol, and Prince Arthas Menethil. Before the trial began, Tirion’s best friend and captain of Hearthglen’s guard, Arden, and his wife, Karanda, begged and pleaded for Tirion to renounce any oath he had sworn to Eitrigg for the sake of his people, for the love of his life, and his son: Taelan. Tirion refused. He would not sacrifice his honor and break the oath. Arden was disheartened and Karanda furious, and all that Tirion could do was apologize. The trial itself drew a crowd. This was not a simple criminal trial. Tirion was a well-known war hero or the Alliance, a legendary paladin, and a lord of a principality being tried for treason. It created even a greater uproar when Tirion began the trial with pleading guilty. As the trial proceeded, both Dathrohan and Barthilas gave their testimony. Barthilas’ being openly mocking of Tirion’s status and calling him a filthy traitor. In the end, Uther the Lightbringer offered Tirion a choice. A full pardon for Tirion to disavow his oath to Eitrigg and reaffirm his loyalty to the Alliance. Tirion was tempted. It would be easy. Just abandon the orc to its fate and he could go home happily with his wife and son. However, living without honor is something Tirion could not do. He told Uther and the court that he would gladly reaffirm his loyalty to the Alliance, because the Alliance always had his loyalty, but he would not disavow his oath to Eitrigg. Those in attendance were enraged, they wanted blood, but the court would not have it. While Eitrigg was sentenced to death without trial, Tirion would not share his fate. Tirion was to be stripped of title and his lands (Lordship of Hearthglen was passed to an ecstatic Barthilas) and was to be exiled from Lordaeron for all time. On top of that, Tirion was going to be excommunicated. The reason that discussion is important is because after Tirion was excommunicated and exiled, he came back to save Eitrigg who was slated to be executed in Stratholme. Although Tirion has been exiled, and could face serious punishment for this, he rides into Stratholme and facing Barthilas and others in order to try to save Eitrigg’s life or die trying. I honestly wouldn’t be too surprised if Tirion was expecting to die in his attempt. However, at the same time a large force of orcs arrive in Stratholme. Led by that same escaped slave, Thrall, they too have come to free Eitrigg. Thanks to the distraction, Tirion manages to get Eitrigg out of the city, but Eitrigg suffers a mortal wound during the escape. To save Eitrigg, Tirion begs and pleads to the Holy Light for the power to save this orc. At first it doesn’t work. He doesn’t feel the Light’s warmth filling him. However, as he continues to try, he begins to feel it, and ultimately heals Eitrigg’s wound. This is where Rades’ point about confidence comes in. That Tirion must dig deep within himself to call upon the Light’s power, and obviously excommunication cannot actually sever the connection. However, Tirion is the only person we have any record of this happening with. We are told that excommunication is rare, but not that it had never been used before. If they ever regained their powers, I assume someone in the Church would have heard of it. Maybe? The only actual canon example we can point to of another character losing their connection to the Holy Light is Nobundo in ‘Unbroken’. He loses his connection after being attacked by Grom Hellscream during the fall of Shattrath. It is unclear whether it is some demonic power used by Grom that caused it, or whatever foul red mist had settled over the battlefield (which was probably demonic in nature as well) but one thing is for certain, Nobundo never regains his ability to connect with the Holy Light. Fortunately, he becomes the first draenei shaman (okay, he was a Broken at that point). Really, it’s up to interpretation. There is nothing that strictly invalidates Rades’ theory, but if you go by the text as written (which is all we have), it does take some interpretation to reach that end. If you strictly go by what we are told, Tirion overcame excommunication by some means. Even if it was simply an issue of confidence, it is an extraordinary feat that we canonically have not seen or been told has ever been repeated. That’s saying something in my opinion. Now let’s skip ahead a few years and one war later, Lordaeron has fallen and is either under the rule of the Forsaken, the Scourge or, in the case of Tirion’s old home in Hearthglen, the Scarlet Crusade. Even more interesting to dear old Tirion (who has fallen on hard times and is now living in a shack down by the river), is that the Highlord of the Scarlet Crusade’s operation in Hearthglen is Taelan Fordring – Tirion’s son. It’s safe to assume that Taelan had a bit of a strange relationship with his father. Especially, since Karanda told their son that his father died after Tirion was exiled. All that young Taelan had to remember his father by was the hammer Tirion gave him and a letter. The letter in question was left to Taelan after Tirion was sentenced and contained the quote at the beginning of this post. I will not hesitate to tell you that I, Vrykerion, will cry every time I read that part of the story. Tirion tries to explain to Taelan that he will hear about the terrible things his father did, that his father was a traitor, but in the end Tirion wants his son to know that he did it as a matter of honor. Because while you can have your lands, titles, rank and wealth taken – only you can take away your own honor. He ends the letter by saying that Taelan’s actions will be Tirion’s redemption, and that he will always love his son. 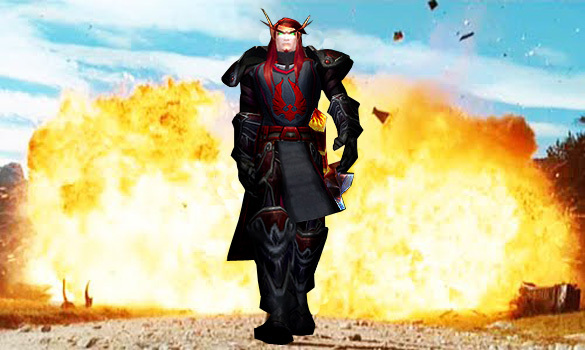 Perhaps that is why when the irrational Prince of Lordaeron disbanded the Silver Hand, and the situation with the scourge grew more dire, that Taelan decided to join the Scarlet Crusade. To anyone who did not know of the madness that dwelt in the heart of the Crusade’s hierarchy, they seemed to be doing the right thing (at least in the beginning) and trying to defend Lordaeron from the threat of the undead. After all, his old teacher Isillien (now Grand Inquisitor Isillien) was part of the central core of the Scarlet Crusade and Taelan trusted him, how could this organization devoted to saving his homeland not be the right route to take? Tirion however (in his shack DOWN BY THE RIVER! Sorry, that joke is really funny to me.) had seen a completely different side of what the Scarlet Crusade was up to. He found adventurers that would help find three items for him: The hammer he gave Taelan as a present that was laid in Tirion’s false grave, the standard of the Order of the Silver Hand that Taelan threw down during his last stand at Northdale when he renounced everything he held dear, and finally a painting made of Tirion, Karanda and Taelan at Caer Darrow where they used to spend their vacations. After the heroes reclaimed these items, Tirion arranged a deal with Myranda the Hag to cast an illusion on the heroes so they could infiltrate Hearthglen, give Taelan the acquired items and tell him the truth – that his father is alive and waiting for him to come home. CDevs? CDevs Post? Post Devs Post! Some people play WoW for the PvP, some do it for the raids, and others want to get the shiniest gear and then rub in the face of others (Don’t roll your eyes. You know they exist. We all do.) Me? Well, I play WoW for the Lore. The stories, the characters and the idea of ever evolving world. I latch onto the continuity of WoW like a comic book fan beating their head into their desk because DC decided to bring back the multiverse (That reminds me, I still need to read ’52’). I made a passing joke about this on Twitter that this eliminates half of WoWpedia. They actually responded saying that it doesn’t but they welcome feedback on the site. Of course, they said this while the site (and all of the Curse network) was down. Dare I call their bluff? I don’t even know where to begin with all the information that I’ve used here on this very blog that came from the RPG books. Info on the Dead Goliaths? Yup. Populations of various cities, towns and countries? Uh huh. Details about day to day life in certain places in the game as well as info on races and characters? Oh there’s a ton of it in those books. See, WoWpedia can claim that this minor statement doesn’t invalidate a good chunk of the lore they keep stashed on their shelves, but it has essentially rendered any article citing those books as unreliable as most people think the real Wikipedia is. I’ll be using WoWpedia and WoWwiki with a grain of salt from here on out. A: There are several “missing” characters in the Warcraft universe, but they are not forgotten! While we’d love to talk about these characters, doing so would spoil a number of the plots we have for Cataclysm and beyond. Believe us when we say that you will definitely hear about these characters when we’re ready to talk about them! The trick to this answer isn’t that they let slip that they haven’t forgotten about these characters. It’s the little bit about plots for Cataclysm “and beyond”. You catch that? I wonder how far ahead they’ve got planned. The next expansion? The next three? Also the choice of examples here are very interesting. Calia Menethil, now sole heir to the throne of Lordaeron and had a crush on Deathwing’s human disguise, could she be returning to face off against the Forsaken? Maybe she was hiding out in the safety of Gilneas until the Cataclysm? Hmm… My brains a boil with the possibilities! And Alleria (no doubt ashamed of her sisters) and Turalyon, lost during the expedition into Outland, could this be a hint at a return to the desolate remains of Draenor? Or their triumphant return during Azeroth’s darkest hour? A: This is more of a game design question than a CDev one, but it was asked enough that we wanted to at least point out the following: just because a race doesn’t have an Archaeology branch now doesn’t mean there aren’t artifacts for that race, nor does it mean that the race isn’t a candidate for possible future additions to the profession. Yes, yes, you can add more stuff to archaeology later. We know, we know. Moving on. Q: Have we seen a true titan yet in World of Warcraft? A: No, only their creations. Q: Are night elves related to trolls in some way? A: See issue #5 of the World of Warcraft Official Magazine! Low blow, Blizz. Low blow. Somehow I expect to flip open the magazine and just find the big words “Yes” in there. Come on, do we really need to dance around this? Especially when just further down you state that Pre-Titans there were no night elves but there were trolls. Do you want us to believe that elves were titan creations too? Really? Were there pointy eared stone golems running amuck that got corrupted by the Curse of the Flesh and they just happened to look like the homo sapien to the trolls’ neanderthal? YES. ELVES ARE RELATED TO TROLLS. That simple. But nooo… you had to pimp your magazine. Q: What is the relationship between the Ancients of the Emerald Dream and the loa? A: Troll druids visiting the Moonglade have been overheard calling the wisps who reside there loa, just as they refer to Goldrinn, Aviana, and the other returned Ancients as loa. Night elves and tauren have tried to counsel these trolls on “correct” druidic nomenclature, but the trolls thus far have been stuck in their ways. Q: If trolls are able to regenerate their limbs, why didn’t Zul’jin’s arm grow back? A: For the most part, it is the speed at which trolls regenerate that makes them formidable foes. When in balance with the loa of their tribe, they are also able to regrow digits (fingers and toes). Tales abound in troll culture, however, of those blessed by the loa with extraordinary regenerative abilities, such as the ability to regrow limbs and even vital organs lost in battle. The tale of Vula’jin the Void speaks of how he regrew almost his entire body after standing in a pool of shadowflame. But just as the loa can bless, they can also curse; troll children are taught legends of those cursed by the loa, unable to heal even flesh wounds, to instill the proper respect for their patron spirits. Q: What races were on Azeroth before the coming of the titans? A: Besides the elementals, the only known sentient races on Azeroth when the titans’ forces arrived to subdue the Old Gods were the trolls, the race known as “faceless ones,” and the aqir. Due to the Old Gods’ war against the titans, as well as the extensive terraforming that followed the war’s conclusion, records of what races existed before even the Old Gods’ arrival have likely been lost forever. See! No night elves! Just trolls, Aqir and “Faceless Ones”. Which is slowly become a very broad category actually. We’ve seen faceless ones in Northrend, we’ve seen them in Vashj’ir, and a couple of other places too but they generally differ in appearance. My only assumption is that a Faceless One is some sort of highly corrupted form created by an Old God, and that each Old God creates slightly different looking Faceless Ones. The Water-type Faceless Ones are created by the Dark Below, which according to WoWwiki is a plane of monsters and demons possibly below the crust of Azeroth. This information comes from the Manual of Monsters, one of the Warcraft RPG books, which means it’s worth JACK SQUAT. *head to desk* Hands up for the folks who think the Dark Below actually being Old God related? Possibly N’zoth? Yea I thought so. Q: What contact, if any, have the tol’vir in Uldum had with the rest of Azeroth over the course of their existence? A: Although the systems keeping Uldum hidden from the rest of the world worked flawlessly from the ordering of Azeroth up until the Cataclysm, the tol’vir inside did have some knowledge of what was going on outside their home: many of the titans’ security devices in Uldum were in communication with the other titanic cities (Ulduar, Uldaman, etc.). The Halls of Origination were actually the system that Algalon the Observer intended to activate upon his arrival in Ulduar… which the players prevented from automatically triggering when they sent the “Reply-Code Alpha” signal from Dalaran. In case you were wondering what the actual answer to the actual question was, it was ‘No’. They haven’t had any contact. You kinda have to infer that from the answer we were given about… Wait. Wait wait wait wait WAIT. Algalon the Observer had the authority to activate the Halls of Origination? Never mind the stuff about the tol’vir, what was the point of Reply Code Alpha then? If the titans had entrusted Algalon with the power the re-originate the planet using the Genesis Device – I mean Halls of Origination, then shouldn’t Azeroth not being rebooted been enough of an all clear? I thought the whole point of that was that Algalon was here to, you know, OBSERVE and then report his findings to the titans along with whether or not the planet needs to be rebooted. We stop him before he can send his report, so he gives us the all-clear code to send back instead. So did we stop Algalon by defeating him and showing him that we don’t need to be rebooted, or did we stop him by sending the signal? Because one of these answers invalidates the other. You can’t have your plot cake and eat it too, Blizz. Don’t make me contact the Red Shirt Guy. Oh there were discussions upon discussions about it. Anduin was this age and now he looks this age, how can Van Cleef have died five years ago instead of the three we thought had passed? I simply chopped it up to represent that each expansion was about one year and the original Vanilla WoW was probably 2-3 years from level 1-60. Van Cleef died at level 18 or so, so he would have died as part of the earlier years of Vanilla, where as the assault on Ahn’Qiraj or the beheading of Nefarian would be later on. That’s just me, and I don’t think there’s any official word on exactly how much time passed and in which expansion that extra time fell in. Heck, maybe the Northrend campaign took a couple of years. It’s not like the Lich King’s forces just let the Alliance and Horde walk in. But after the Shattering and questing around some in the lower level zones I quickly forgot the question of how many years had passed leading up to the Shattering and became more interested in the time span of how much time had passed SINCE the Shattering. There a number of instances that suggested that some manner of time had passed from the Shattering to start of the player experience at level 1. I’m sure you’ll see me bring it up in my Adventures of Vrykerion series as I look at each of the zones but the two most immediate examples of this I can point to are the Goblin starter experience and the Tauren start zone at Camp Narache. After the Shattering, Camp Narache has gone from a training ground for young tauren to the frontline defense against a potential quillboar invasion. So when did the quillboar decide to hop out of their little valley and began a full assault on Mulgore? Why after the Shattering, of course! But this isn’t a mere “The Shattering happened and now here comes an invasion” oh no. The invasion is over. Most of Red Cloud Mesa is now under quillboar control and they’ve already raised several of their giant razorthorn plants and converted the region into their charred, grey territory. They also killed the elder of Camp Narache, Unaya Hawkwind. So when exactly did all this happen? How fast do the razorthorn plants grow? Has it been weeks or months since the Shattering? The Goblins probably would have put a nail into this entire mystery if it wasn’t for the fact that we don’t know how long it takes a raptor to reach adulthood. Yes, I’m talking about Subject Nine. She is really the heart of this entire thing. We know that Subject Nine was a baby when the Shattering occurred, Deathwing appeared and Kezan was destroyed. We know that she is a full-grown adult with children by the time we meet her in Azshara. So how much time is that? However long it was, it was also when the goblins were able to establish the Bilgewater Harbor and all the other buildings and structures in the region. Unless somehow time has been shaken loose and not operating in the sense of minutes or hours now that the world has moved on, this is probably going to a reoccurring WTF moment for me going forward from here. Because until I figure this out, I’m going to be trying to piece it together with every little bit of information I can scrounge up while leveling. So as I said, don’t be surprised if you hear me mention this again while writing, because honestly – this is driving me nuts. Would You Like Some Lore With That Pony? Would it be an over-simplification to say there’s been a lot of talk about this whole sparkly pony situation? The responses to its release have been pretty widespread from screaming logical hiccups to squealing delightful joy. However, there hasn’t been a lot of talk about where the heck this thing comes from. Yes, yes, I know. Mei Francis sends it to you. Mei Francis – who somehow is the only person in Azeroth who knows where to find a steady supply of dragons with rare genetic problems – has somehow come into supply of horses that look like Algalon’s sidekick in the WoW 80’s cartoon. On the Blizzard Store, it mentions that the Celestial Steed comes from the Twisting Nether. Sure. Why not? After all, the twisting nether is just some weird extra dimensional realm that might as well be labeled “Deus Ex Machina” for whatever you want. Where does mage food come from? Twisting nether. Where do warlock demons come from? Twisting Nether. Where do people go when they die? You got it. It’s the WoW version of the old RPG staple of “A Wizard Did It” or “It’s magic.” Not that I can blame Blizzard for using it. They probably got their hands full with coming up with slightly more important lore. Like the end of the fricking world. Honestly, I was never very happy with this explanation. For one, it seems odd that the same place that is used in the same way as we use “hell” or “heck” and is full of demons could possibly be responsible for bringing forth this pretty pony. Unless it is also a demon. Which it isn’t. Cause then the warlocks would probably complain. However, the netherdrakes are explained to be dragons that were from or created by exposure to the magical and chaotic energies of the Twisting Nether, so why not pretty starry ponies? Honestly, while this is the canonical explanation for their existence given by Blizzard, it reeks of unimaginative defaulting to the easiest explanation. My favorite explanation for the celestial steeds. It’s not hard to see why you would immediately think of Ulduar when looking at these things. They look like every constellation statue you find in the Ulduar dungeons and raids. 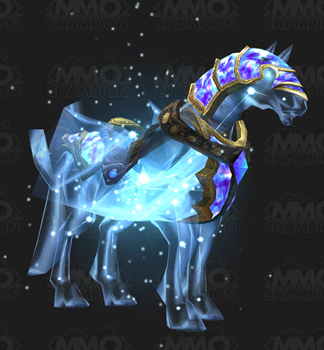 In fact a lot of people thought the steed was going to come from Ulduar (possibly as an incentive to finish it? I know my guild just skipped to ToC and ICC after getting one keeper down, and no one wants to go back because the gear is useless now… /sigh), but it turned out you can just buy the pony. But Ulduar does provide an excellent explanation for where the steed comes from. After all, in the timeline of the expansion, Yogg-Saron has had his head shoved back into his hole and Algalon averted from sending out his message to the Titans. Ulduar is now free and back under control, perhaps it is time to do some exploring! But didn’t we already see everything that was in Ulduar, Vrykerion? There was no stable of star ponies in there! Well, no. There wasn’t. Not in the areas we explored at least. Ulduar however is huge. Brann Bronzebeard first called it a titan city from initial observations. I can’t imagine we even began to scratch the surface of that place. The Ulduar raid was a direct assault on the heart of the entire facility, but I can’t possibly imagine that was the whole place! Imagine if Bronzebeard went back into Ulduar after Yogg-Saron had been defeated? While exploring he finds these magnificent beasts flying about in the heart of Ulduar, created by the titans as a means for others to navigate their own massive facilities. Or were unfinished creations of the titans that began to evolve all on their own. Ulduar, being a titan facility, has been on Azeroth since the beginning. That’s well over 10,000 years. I could imagine some unstable creation mutating and evolving deep within in a secluded city. They took on coloring like their surroundings, blending in to the massive constellation statues, and began to fly in order to compensate for the massive structure they were living in. There are lots of possibilities here. In case you are unfamiliar with the Great Dark Beyond, it’s essentially the Azerothian term for outer space (as opposed to the Twisting Nether – which is the space between spaces, Dr. Jones.) Yes, I am suggesting that a possible origin for the Celestial Steed is outer space. Why not? Don’t even try and tell me that aliens are too out of the box for WoW. We have the Draenei. We have the Naaru. We have another entire planet in the form of Draenor/Outland. Why is it so hard to believe that there are other creatures within the darkness of space? Much like the Ulduar explanation, you could even tie in the unique titan design aspect of the horse into this. After all, the Titans are said to dwell deep within the Dark Beyond. They sent Algalon from wherever they are, who shares a similar appearance. Could it be that these starry creatures are titan creations on another world? Servants of the titans created as some kind of equivalent to angels or avatars? Take your pick! There are many strange things left unexplored in the darkness out there, surely there must be some creatures that choose to light the way. Some could argue that this is similar to the Twisting Nether origin before. But instead of being a metaphorical plot device akin to “A Wizard Did It” that Blizzard uses to patch holes, what if a wizard actually did do it? What I mean is, what if these starry horses are arcane constructs similar to elementals or the massive robots that storm around and guard magical areas? Finely crafted by the finest wizards that Dalaran has to offer comes a flying horse construct that Mei Francis can sell in that freak sho- I mean exotic pet shop of hers. After all, mages are the one’s with direct control over weaving the arcane and Mei Francis has set up shop in their mecca. Would be it that unlikely for them to join forces to concoct a maginficent new ‘animal’ to showcase? It’s not like they have some moral issue with using magic for something like that, heck they use magic to light the street lights and elementals to wash clothes! This isn’t some mystical sacred art, they’d use magic to scratch their own butts if they could. I can easily envision a gnome making a fancy horse out of to make a few bucks. Ultimately, there’s probably more ways to think about this that I can come up with here. But it goes to show you that just because a mount doesn’t drop from a raid boss, doesn’t mean you can’t come up with some fun lore or reasoning behind it’s existence. It also goes to show you that you shouldn’t always just accept Blizzard’s own wacky logic of “a wizard did it” every time they don’t want to flesh out the details. Warning: Parts of this posts include potential spoilers to Cataclysm and the WoW Comics. You have been warned. I’ll give you some credit. You got a lot of guts to write that. Defending a bunch of smelly dwarves, ankle biting gnomes, space goats and spineless humans. But the reason your failure of an Alliance lacks the pride is that they have been utterly decimated by the power that is the Horde! But the worst part is that you defended that loud mouth moron of a king. I doubt you would even extend that kind of courtesy to the Horde. Say, defending the son of the greatest warrior the Horde has ever known? Could you do that? Could you prove to the Horde that I… I mean, that Garrosh is just as fit to be warchief as that human lover Thrall? Needless to say I was a bit surprised, this mysterious stranger is asking me to make a case that Garrosh would make a good warchief? Well, I enjoy a challenge – and while I know a lot of people don’t share my opinion of Varian, I know for a fact that no one agrees with me when I say: I would support Garrosh as the war chief of the Horde. I know how that sounds, but believe when I say it boils down to a matter of perspective. I can’t think about this from the same point of view as having pride in the Alliance or saying that I understand where Wrynn is coming from on these issues. I am looking at this matter strictly as a member of the Horde. I’ve played lots of hordies over the years, heck my first loremaster was a blood elf warlock. So what I’m about to say, understand I am saying this as someone who is vastly aware of the issues the Horde is facing. A lot of people have likened Garrosh’s thinking to that of the Old Horde. By that I mean the days back before Orgrim Doomhammer took up the mantle of Warchief. When the Shadow Council was secretly running everything and the Horde fought amongst each other as much as they did the Alliance. I feel this is a misunderstanding of Garrosh’s political views. Garrosh is someone who believes foremost in seeing the Horde become the dominant force in the world. Many players would take issue with this at first glance, but I question their outburst at Garrosh’s views. After all, isn’t that what the Horde was doing far before Garrosh entered the scene? They attempted to seize control over Ashenvale from the Night Elves, they attempted to drive the dwarves from the mountains of Alterac, and they would generally terrorize and kill any Alliance force that showed up near their doorstep. Last post I discussed some of the reasons I felt there were to actually be proud to play an Alliance character. They stood against those who would see them dead, they sacrificed their lives in an unknown world for safety back home, and they managed to get Gilneas, Dalaran and Alterac to play nice (a historically difficult task). The Alliance have just as much right to beat their chests just as hard as the Horde. But that only answers half of the question. There is another issue that we must address before I can call this rant about the Alliance done. What happened to Alliance pride? Why don’t we beat our chests like the Horde and scream out a battlecry in the face of an enemy? Well, there was a little something that happened between the Second War and World of Warcraft. Something that I personally believe to be the downfall of the Alliance sense of pride in itself and only reinforced the pride of the Horde. A little something called The Third War.